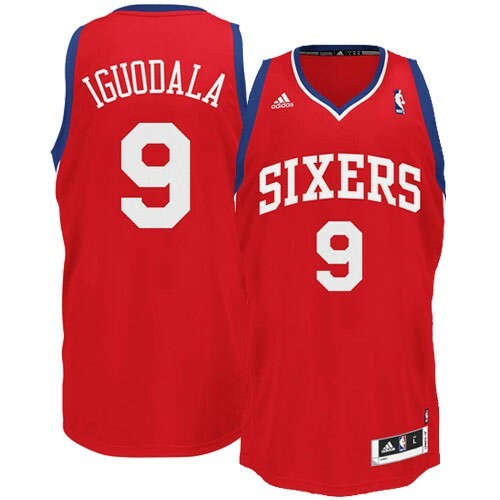 Support your favorite team on and off the court by wearing this Adidas Andre Iguodala Philadelphia 76ers Red Revolution Swingman NBA Jersey. This durable jersey is made of breathable, quick-drying polyester mesh and has a 10 oz. flat knit rib collar and armholes. The officially licensed jersey is designed with the screen-printed and tackle twilled team name and player number on the chest, and player's name and number screen-printed and tackle twilled on the back.